You like to stay up to date with what is happening at Ondekaremba? Subscribe to our newsletter. It is published every three months and contains a potpourri of stories about rhinos and other exciting topics as well as news about Ondekaremba and its partner companies Ghaub (in the Otavi mountains) and Waterberg Wilderness (at the Waterberg). It is good to stretch your legs before or after a long flight. No wonder that guests of Ondekaremba like to use the trails on the grounds of the lodge. To further increase diversity, the network of paths has been gradually expanded. Now you can spend hours exploring the African bush savannah. 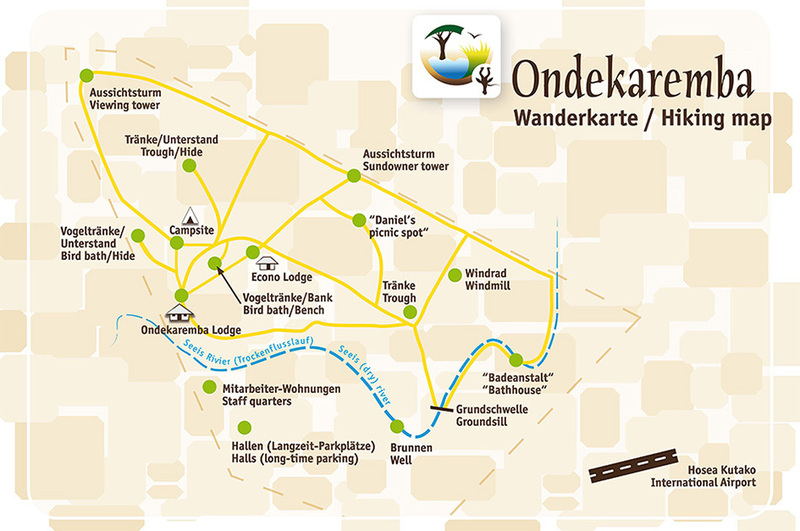 Ondekaremba produced a new small hiking map for the guests to take along on their walk. It shows the extended network of paths and also provides guests with a bit of information about the former farm at the airport. The hiking trails are also available to day visitors (booking possible with or without a room) who stay at Ondekaremba on the day of their departure. Campfires and barbecuing are a crucial part of the real camping experience in Namibia. At the Ondekaremba Campsite guests can now buy firewood, which they can burn with a clear conscience, because it is exclusively dead wood collected on the area of partner Ghaub Nature Reserve & Farm. In addition, the proceeds from the sale of the wood of Ghaub Farm Products contribute to financing the costly measures of Ondekaremba and its partners Ghaub and Waterberg Wilderness to contain the dense bush, which is spreading more and more if nothing is done about it. For those who want to take the wood along, it is not packed in the usual plastic sacks that are now prohibited in national parks, but in cartons. 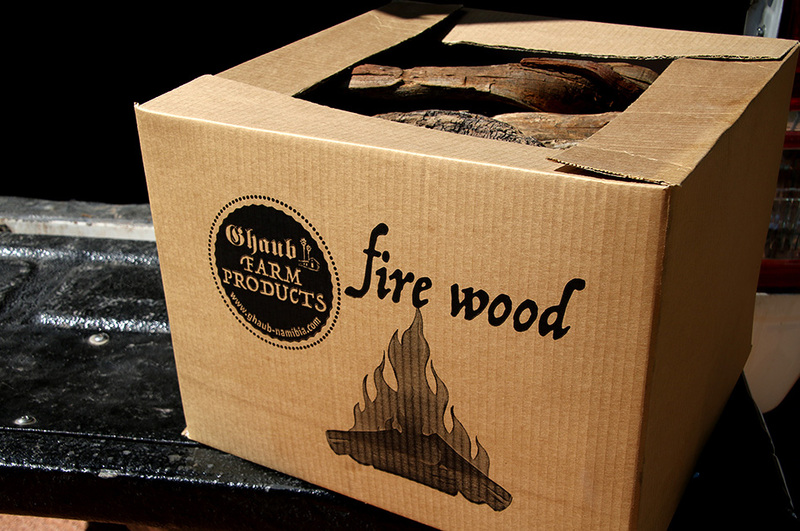 If you use the cardboard to ignite the fire, nothing remains but ashes - which, like after the bush fires, can provide the soil with new nutrients. 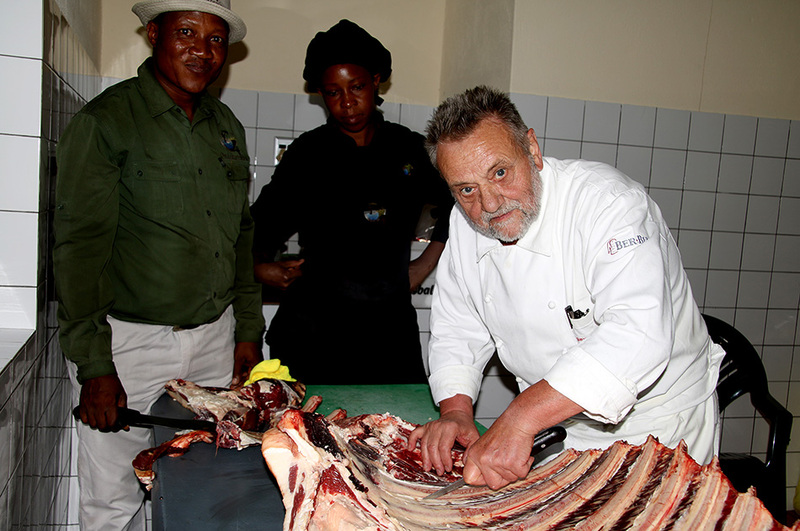 The training for the cooks of Ondekaremba Lodge this time focussed on the professional way to unflesh bones. In addition, retired chef trainer Georg Maeding from Lübeck went into detail about what you should pay attention to, depending on the meat type, when you cut meat into smaller pieces. Of course, he also checked in the kitchen to what extend the cooks put into practice what they learnt in the previous training courses, and he imparted more helpful hints and tricks. "Above all, we have improved the preparation of sauces," said Maeding shortly before his return flight to Germany in early December. During his two-month stay, he also visited the partner properties Waterberg Wilderness and Ghaub. It was already the third time after 2015 and 2017 that Georg Maeding by the agency of the Senior Experts Service trained the cooks at Ondekaremba. In the first two training sessions he put basic skills and knowledge on a sound basis, he revised the menus and went into particulars about the professional arrangement of food on the plate. Ondekaremba Lodge offers a rich breakfast buffet and a set menu of four courses for dinner. European dishes are prepared in Namibian farm style and enriched with typical local ingredients such as kudu meat, butternut or chutney. Breakfast and dinner are included in the room rate for standard rooms, family units and apartments. The ICAO experts' verdict: The International Airport 40 km east of Windhoek largely meets worldwide standards. The experts did not find any serious safety deficiencies. The green light also applies to all commercial airports in Namibia, as the ICAO's nine-day inspection spanned the entire country. In some areas, however, the International Airport has to improve a bit. The Namibia Airports Company (NAC) was asked to submit a catalogue of concrete measures to ICAO by March. Irrespective of this, the NAC intends to start an extensive upgrading and expansion in the coming year. At the time of its construction in the mid-eighties the airport was designed for 250,000 travellers a year. Last year, 1.4 million passengers were counted. Ondekaremba is less than 7 km away from the International Airport, thus being a great lodge for the first and last stop on a Namibian tour. It also offers a day visit to wait for the departure, walking trails to stretch one's legs and transfers to and from the airport. From August to October 1968, the lawsuits regarding the thefts at the crash site make headlines in the Allgemeine Zeitung. The 20-year-old railway employee Josef de Beer admits to having found two lighters, two watches and some coins during the clean-up operation. He did not hand it in at the central collection point, he claims, because he wanted to keep it as souvenirs. Due to limited funds of his parents, his bail is halved during the trial to 100 Rand. The sentence, however, is quite severe: 21 days imprisonment and another 150 days imprisonment or 150 Rand fine. The magistrate exercises leniency towards the 19-year-old railway mechanic J. Kühn. Due to the theft of two lighters and 21 British coins, Kühn is sentenced to 60 days imprisonment or 120 Rand fine. The Surveyor of the Administration of then South West Africa, Hermias Genis, pleads guilty to stealing 110 Rand, a gold ring of nine karat, a brooch and a tiger eye. His sentence is 21 days in prison and another 90 days in prison or 200 Rand fine. The biggest indignation is directed at the head of the Windhoek traffic police, Johannes Visser Smith. When searching his house, a film camera, an exposure meter and jewellery of passengers of the plane are found in the locked rifle cabinet. The judge accords no credibility to his claim that he forgot to hand over these objects. The sentence: 25 days imprisonment or 150 rand fine. One week after the judgement, Smith also faces disciplinary action by the City of Windhoek. At the end of October, he is dismissed from the service of the municipality. 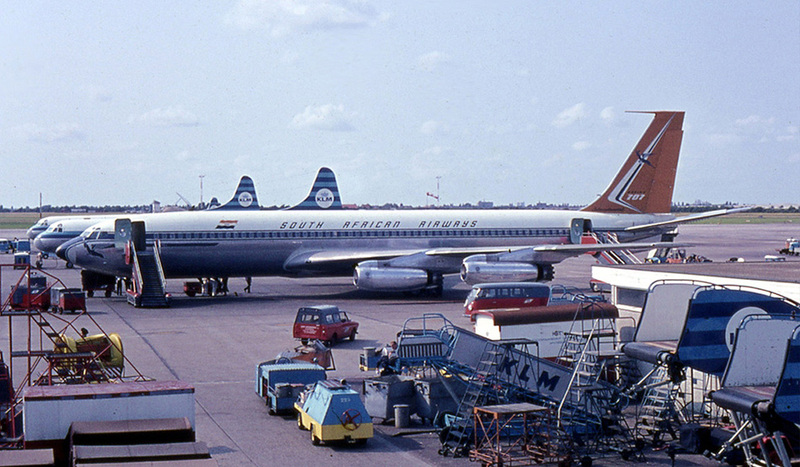 The brand-new Boeing 707-344C of South African Airways crashed into the bush savannah in the moonless night of April 20, 1968, just 50 seconds after take-off, a few kilometres east of Ondekaremba (see news story of April 2018). 123 people died, five survived, one even unscathed. The cause was a chain of errors and mistakes of the pilots who were not yet totally familiar with the cockpit. According to the NAC, arrival hall, checkpoints and baggage claim will be rebuilt and redesigned. The conversion is expected to start in November and will cost around 240 million Namibian dollars (about EUR 14.4 million). One aim is to accelerate the handling of passengers, which can currently take up to two hours. International benchmark is 45 minutes. Following the conversion, the government plans to invest five billion Namibia Dollar (almost EUR 300 million) in a major expansion - with a low-interest loan and a subsidy from China. 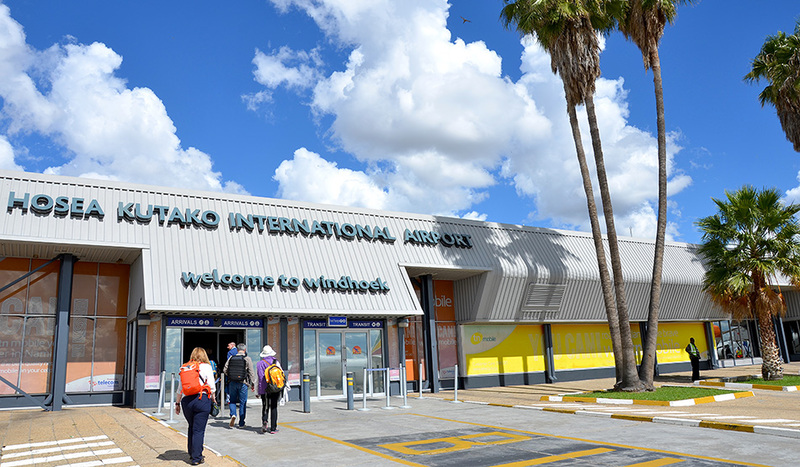 The number of passengers arriving and departing increased by almost a third between 2015 and 2017, also due to airlines such as KLM, Qatar Airways, Ethiopian Airlines and Eurowings, who have added Windhoek to their list of destinations. 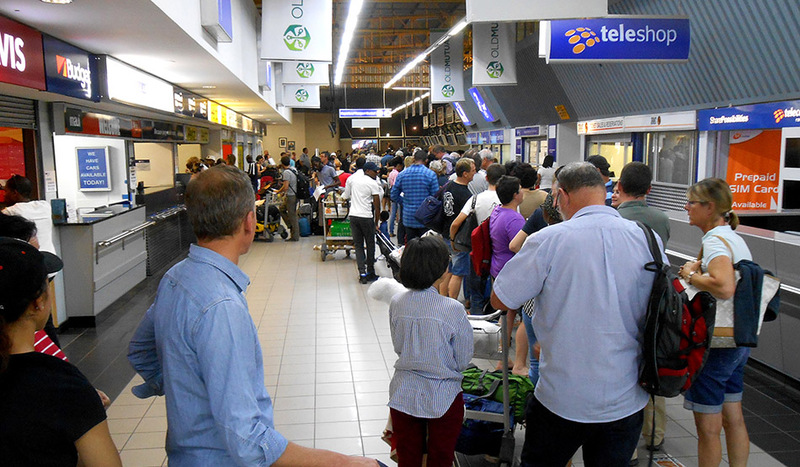 According to the NAC, last year 1.4 million passengers were counted. The airport was designed for only 250,000 travellers a year at the time of its construction in the 1980s. Although only 7 km away, at Ondekaremba the airport operations are hardly noticeable. Due to its location, Lodge, Econo Lodge and Campsite are great first and last stops on a roundtrip through Namibia. Day stay and airport transfer complete the offer for air travellers. Namibian tour operators confirmed that an unabridged birth certificate should be carried along for accompanying children. Accordingly, Namibia has toughened its entry requirements as part of international action against child trafficking and adapted respective requirements of neighbouring countries South Africa and Botswana. If only one parent is travelling, a certified declaration of consent from the other parent must also be provided. If the other parent has died, this must be documented with the death certificate. Anyone who succeeds in flying to Namibia without these documents must expect to be stopped at the entry desk and sent home with the next possible flight. There was apparently no public statement by the Ministry of Home Affairs on the introduction of the toughened entry requirements. 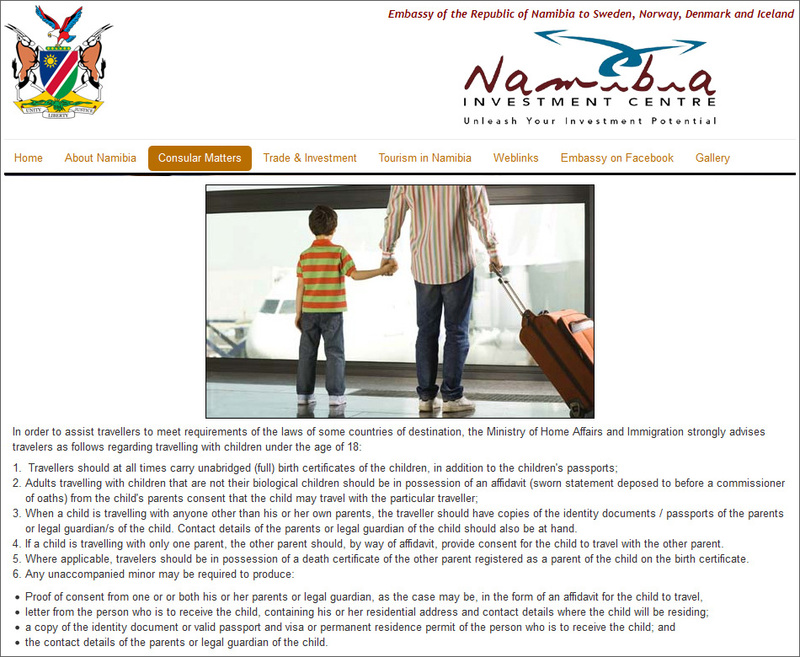 Only on the website of the Namibian embassy in Sweden you can find an announcement of the new provisions. Not even all immigration officials seem to be informed: There are families who were able to enter Namibia without being asked at the control desk for the documents. The office of the Namibia Tourism Board in Frankfurt, however, published on its German-language website a notification for travellers with children already weeks ago. The German Foreign Office also added a passage about it on its country page about Namibia. The Ondekaremba Econo Lodge, formerly known as Erioloba Village, is ideal for those who are looking for a good and affordable stay in the immediate vicinity of the airport. It consists of three bungalows, each with three to four single rooms, and one bungalow with three double rooms. Each bungalow has a bathroom with shower and toilet and in front of the entrance a small terrace with bench and table. With the booking of a room you have reserved the entire bungalow, so you do not have to share the bathroom with other guests. In addition, there is a common building with a kitchen and a dining room with bar and fireplace & indoor grill. If you do not like to cook yourself, you can enjoy breakfast, lunch and dinner in the restaurant of the lodge, which is only a five-minute walk away. 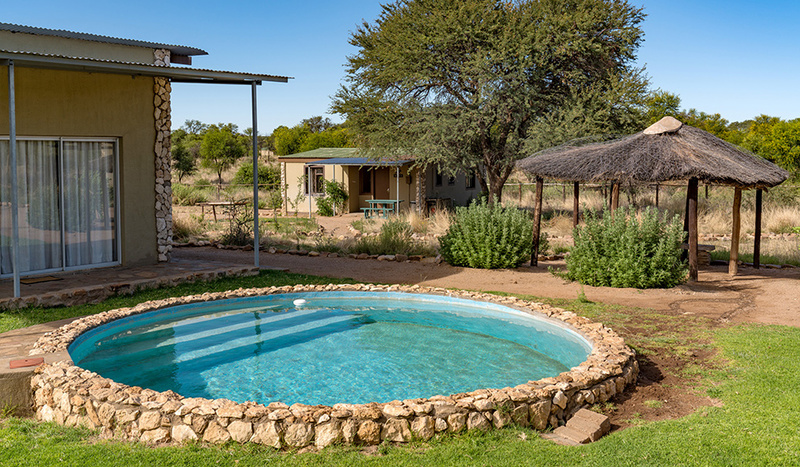 Of course, there is also a swimming pool and a barbecue area outside – ideal for the first or the last "braai" (barbecue) on the round trip through Namibia. Hiking trails lead through the African bush savannah and to an observation tower, which offers a magnificent panoramic view. Guests of the Ondekaremba Econo Lodge can also make use of Ondekaremba Lodge's services, such as free Wi-Fi in the lounge at the reception and airport transfers. For more information and photos please click here. Relatives of some passengers were still on the terrace of the airport building (of that time) on that moonless Saturday evening and had to watch how the plane after taking off suddenly lost altitude and then plunged into the bush savannah. It came from Johannesburg and was to fly to Europe via Windhoek and Luanda. On board were 116 passengers and 12 crew members. Five passengers survived, none of them was from Namibia. According to the investigation report, the cause was human error. The Boeing 707-344C was brand new and had only been put into service a few weeks earlier. The pilots had completed an instruction programme, but in the new cockpit the display of the ground speed was in unfamiliar place and the drum altimeter could be easily misinterpreted anyway. They had probably switched back too early from take-off power to climb power. As they had no point of orientation in the darkness, they obviously did not notice that the plane was losing height instead of gaining height. With a rate of descent of about ten meters per second and a groundspeed of about 500 kilometres per hour, it hit the ground and burst into several parts. Unbelievable that one of the passengers survived completely unhurt. 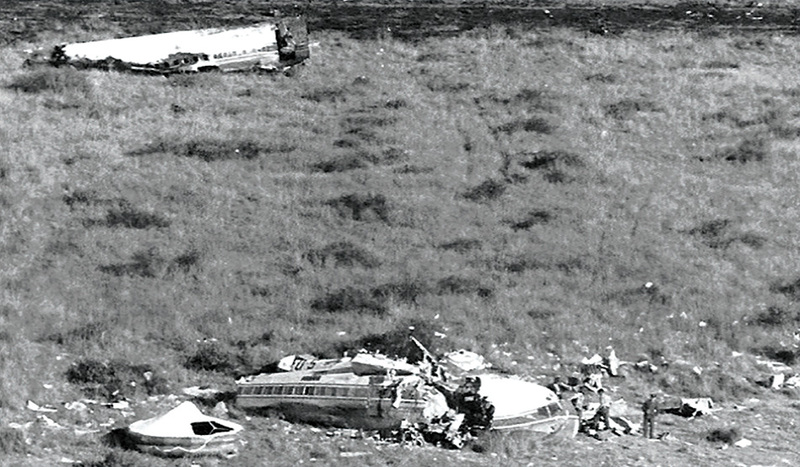 The crash went down in history as the "Ondekaremba Aircraft Disaster". Despite the official name J.G. Strijdom Airport (after the then Prime Minister of South Africa which administered Namibia at that time) Namibians in fact referred to it as Ondekaremba Airport. The reason: In 1961, a 500 ha (5 km²) piece of land had been separated from the farm Ondekaremba for its construction. The farmhouse, which today houses the restaurant and bar of Ondekaremba Lodge, was not endangered by the crash. It was and still is situated about seven kilometres west of the airport building, while the crash occurred five kilometres east of it. For Namibia holidaymakers from Europe, direct flights become scarce in the last month of peak season. Both Eurowings and Condor take up their flights to Windhoek again in May and April respectively, but cancelled the connections in their timetables for the European winter, as they did in the previous year. 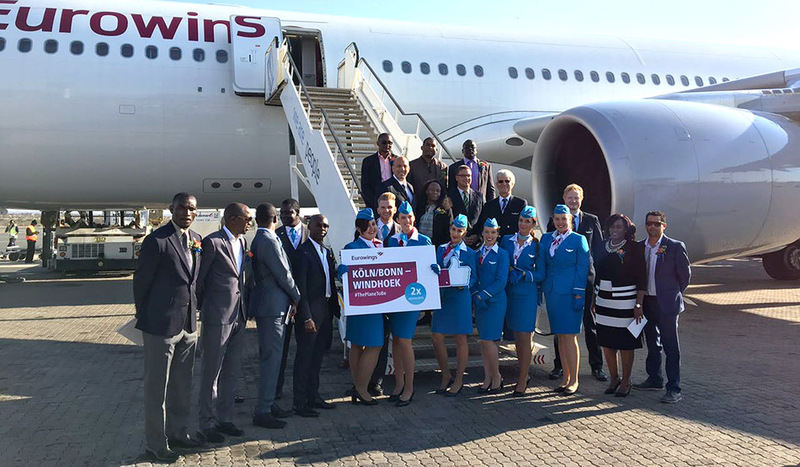 According to Eurowing’s website, the German airline offers flights to Namibia three times a week as from the beginning of May – on Mondays and Wednesdays from Cologne/Bonn and on Fridays from Munich. However, the flights end in the last week of October, although the high season in Namibia now lasts until the beginning of December. 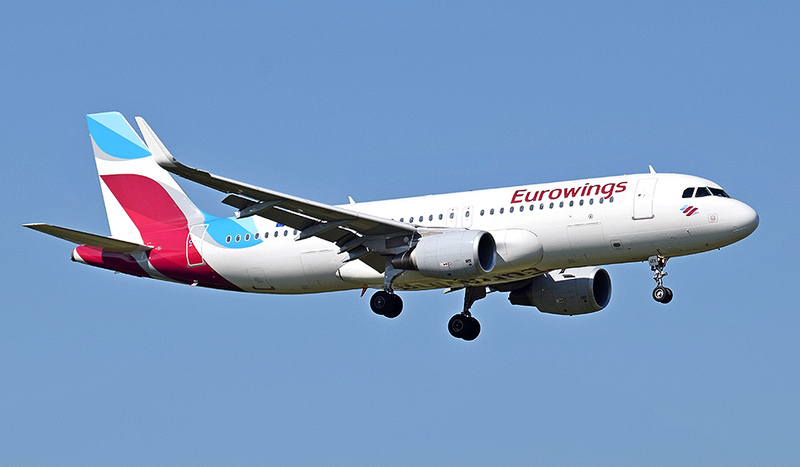 It is not clear yet whether Eurowings will resume the connections within its flight plan for the European summer from May 2019. Condor will take up its direct flights from Frankfurt to Windhoek from mid-April. The flights are scheduled for Tuesdays and Saturdays. In addition Condor offers daily flights under the codeshare agreement with the Namibian airline Air Namibia. Ondekaremba, situated only seven kilometers from the Hosea Kutako International Airport near Windhoek, is the ideal last stop before the evening flight back home. With a day visit (with or without room) you can cool off in the pool or stretch your legs on the walking trails through the bush savannah before getting on the plane. Paying for a booking at Ondekaremba has become even easier – and, above all, safer. The online payment system Virtual Card Service (VCS) of the international group Direct Pay Online (DPO) creates a secure connection to our partner bank First National Bank in Namibia. In contrast to other payment systems on the internet, this ensures that payments from abroad are automatically reported to the Bank of Namibia as required. VCS is easy and quick to use; the link can be found on the "Contact Us" page. Of course, the usual procedure of paying by credit card and sending the data via email is still available. "My hosts had given me a large piece of smoked meat," says Heinrichs at breakfast. "Even months later, my whole apartment would smell of it." It was the meat of a red hartebeest, Ondekaremba’s heraldic animal. "I will never forget the personal atmosphere – and neither the smell of the smoked meat, obviously." 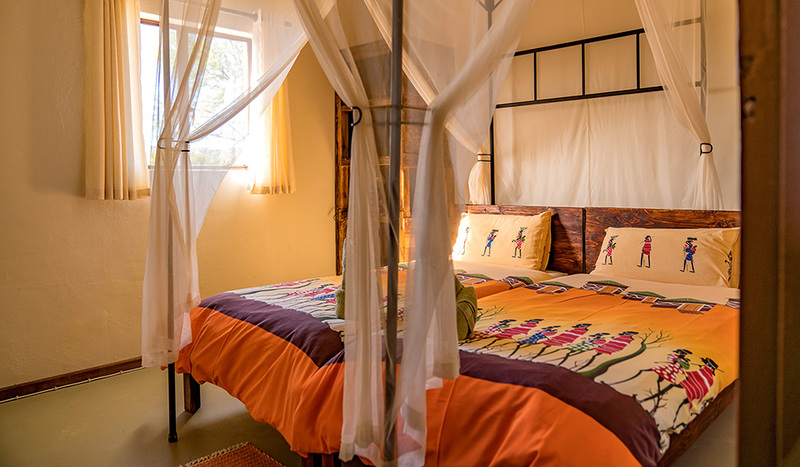 During his stay, Heinrichs gathered a lot of new beautiful impressions – be it the lodge to which the former guest farm has been converted in the meantime or be it the self-catering accommodation Erioloba Village, be it the campsite in the bush savannah or be it the hiking trails. Heinrichs pulled out all the stops when taking pictures. 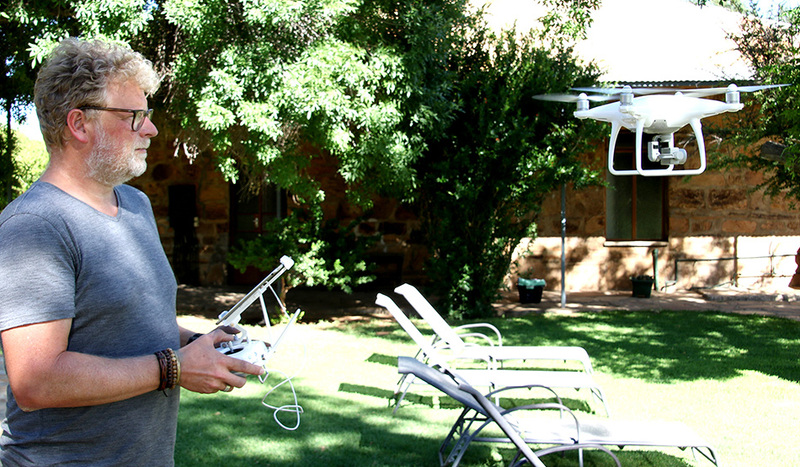 He even used a drone – based on an explicit exceptional permission. Out of consideration for guests and because of the nearby airport drones are not allowed at Ondekaremba. Some of the most beautiful new photos you can have a look at on this website in the gallery. It was built during the year and was given its final touch in November: the new sundowner tower at Ondekaremba. From the platform you have a fantastic view – in the south to the Bismarck mountains, in the north to the mountain ranges with the formation of the "sleeping Fritz", in the west to the Eros mountains, behind which Windhoek is hiding, and in the east to the International Airport and the plains of the bush savannah that stretch to the horizon. 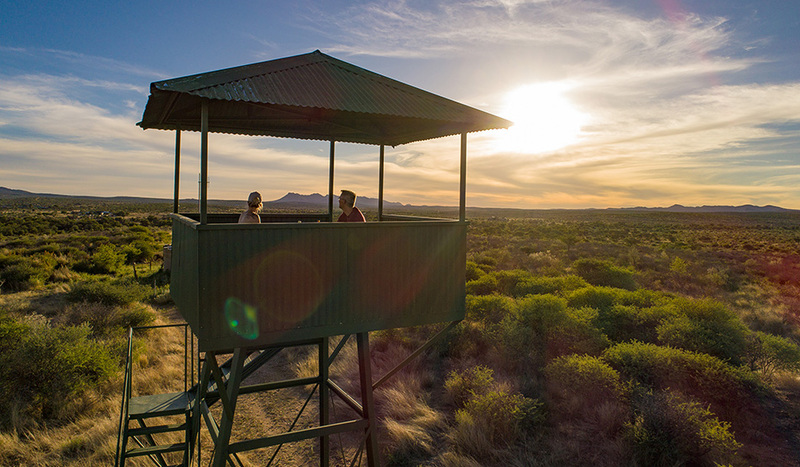 The tower is perfect for guests who spend the first day after landing at Ondekaremba and who want to get a feel for the vastness of Namibia – and of course for guests who like to end their holiday on an atmospheric note on the last day before their flight home. Equally true to Ondekaremba’s slogan “A great start and ending to your Namibia holiday” are its offers of airport transfers and day visits, that include the use of the trails, swimming pool, outdoor shower, garden, terrace and lounge (free Wi-Fi). With his signature under the amended time act, President Hage Geingob officially abolished the winter time. By passing the amendments, parliament followed the overwhelming outcome of hearings held throughout the country. The Namibian winter time (UTC +1 instead of UCT +2) lasted from the first weekend in April to the first weekend of September. It was introduced in 1993, mainly for children to be able to go to school in daylight. However, many have lessons in the afternoons. Due to the winter time they had to walk home in the dark. The economy complained about losing four mutual office hours with South Africa – one hour in the morning, one hour in the evening and two hours at lunchtime. Namibians and Central Europeans having business or private relationships should breathe a sigh of relief, too. Combined with the summer time in Europe, the winter time in Namibia caused a time chaos: Europe and Namibia turned the watch hands in opposite directions – and at slightly different points of times. So at times Namibia was one hour ahead of Central Europe, at times it lied level and at times it was one hour behind. Thanks to Geingob, this chaos is now largely cleared. In Namibia normal time (UTC +2) applies throughout the year. 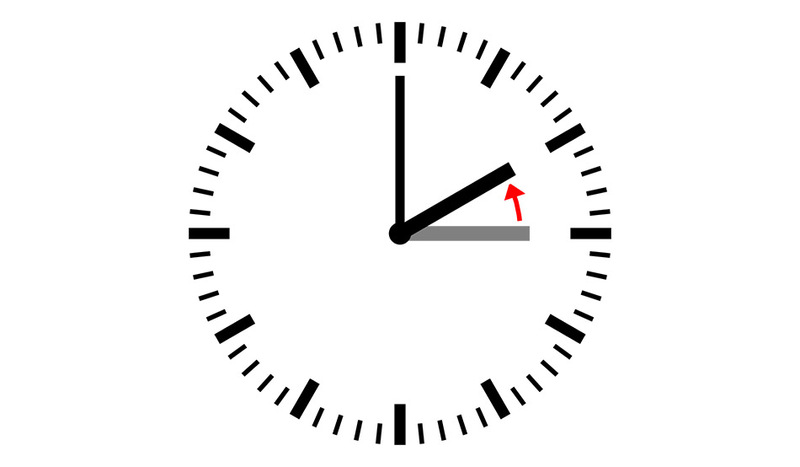 Since Europe switched back to normal Central European time (UTC +1) on the last weekend of October, tourists from countries from Spain to Poland will have to put their watches forward one hour after the landing in Namibia. As soon as the Central European Summer Time (UTC + 2) starts end of March, Namibia will be lying level with Central Europe for six months. Ondekaremba does not really care. If a guest has booked a transfer, he will be picked up at the airport on time, regardless of whether he puts his watch forward or not. The electronic system consisting of scanning the face and the hand of travellers had been introduced on 1 September. Arriving and departing passengers had to queue for more than two hours. Apparently the recording of fingerprints and handprint lasted several minutes per person. Meanwhile, only the iris is scanned. In addition, the ministry of home affairs is now deploying ten officials at the arrival counters instead of eight as before, and at the departure gates six instead of four. This is also good news for guests of Ondekaremba. Instead of having to be at the airport three hours ahead of your return flight, a buffer of two hours is sufficient. 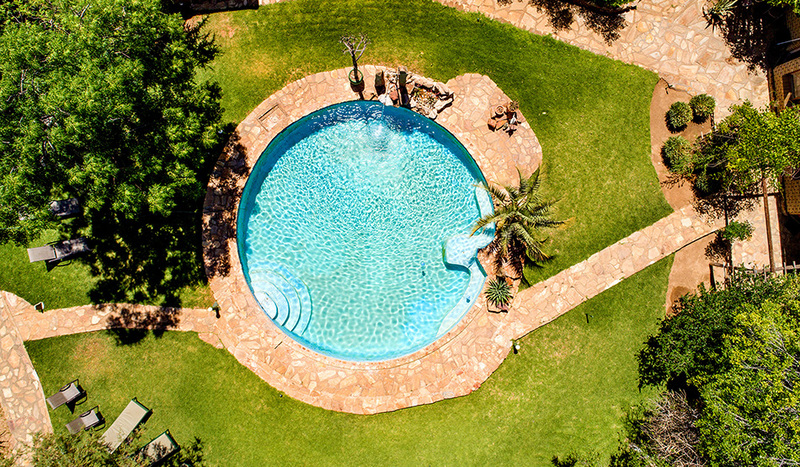 So our guests can relax longer by the pool or stretch their legs on a hiking trail through the African bush savannah. ... because the return flight after the first landing on Thursday morning was only scheduled for Monday evening. According to the airline this is quite common, when you start a new long-distance route. On the first plane all 306 seats were booked. Eurowings is known for its reasonable flights. As from now on, the Lufthansa subsidiary will depart from the airport Cologne/Bonn every Wednesday and Sunday in the evening and arrive at Windhoek early in the morning. The return flight takes place on Thursdays and Mondays; take-off is in the late evening and touch-down at Cologne/Bonn in the course of the morning. As from next summer, one of the two flights will depart from Munich. Ondekaremba, just a 10 minute drive from the airport, is the ideal first stop after the landing and the last stop before the return flight. On the hiking trails through the African bush savannah you can stretch your legs after or before the long flight.